What Are Your Most Awaited Movies/TV Shows of 2014? It’s already December, meaning soon 2013 will draw to a close. I’ll have a list drawn up for the Best TV Shows of 2013, followed in a month by my favorite movies of 2013 (just so I can see many late releases). So it might be the right time to ask what are your most awaited films and TV series of 2014? Inherent Vice is the movie I’m most looking forward to in 2014, as Paul Thomas Anderson has never made a film short of greatness. Wes Anderson’s The Grand Budapest Hotel is also one film I’m eager to see. As for TV shows, I can’t wait for the first half of the final season of Mad Men as well as the debut of Better Call Saul. Also, after a long hiatus, Sherlock will return in early January. I am almost hyperventilating with how much I’m looking forward to Game of Thrones. Also Mad Men. Nice picks! Game of Thrones is one of the best shows today and Mad Men’s always been great. SHERLOCK and the return of The Sing-off on TV. In terms of films, The LEGO Movie, Mr. Peabody and Sherman, The Grand Budapest Hotel, and a few more that I can’t think of off the top of my head. Nice picks! Sherlock and The Grand Budapest Hotel look great by their trailers. I have high hopes for it, especially since many of Breaking Bad’s writers and producers are involved. I’m also excited for Sherlock to come back, and for Hannibal to come back in April. I think that’s all I got for TV shows, to be honest. Of course Inherent Vice and Grand Budapest, really excited for those. X-Men as well, I really loved First Class and I’m excited to see the new cast with the old cast even though the trailer was poorly put together. Also excited for Captain America and the next parts of The Hunger Games and The Hobbit. Then you have Noah, Gone Girl, Interstellar, Foxcatcher, and I guess Terrence Malick has a movie or two coming? Also cautiously looking forward to Muppets Most Wanted and Jane Got a Gun. Nice picks! Sherlock’s a great show, I wish that they had shorter hiatuses though. Yeah I know! Luckily I only just started watching it in like May so I only had to wait like six months but most people have had to wait like two years. Knight of Cups is one I’m looking forward to as well. I remember seeing a clip on set which actually showed Malick working with his actors. He’s an amazing director. I’m really looking forward to Inherent Vice as well, and the new season of Game of Thrones. Nice picks! I have a great feeling about Inherent Vice and Game of Thrones is getting better and better. 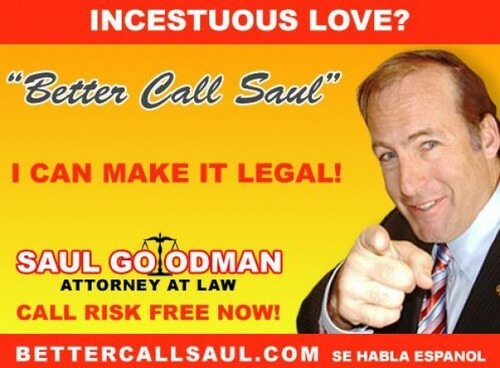 If they can get Better Call, Saul done the right way, then I’ll be happy for it. However, right now, I feel like AMC’s betting a bit too much on it. I have a bit of that feeling as well, particularly since AMC has never been great at distributing their shows, like the trouble they had a few years ago renewing Breaking Bad and Mad Men, but if Vince Gilligan and the other writers are as good as before, I’m pretty confident about Better Call Saul. Thanks for the comment. Interstellar is what I’m looking forward to most. I didn’t realize Inherent Vice was the new PTA film. I will definitely stay away. Nice pick, I’m definitely looking forward to Interstellar. Man there are too many movies to mention that I’m anticipating but since someone mentioned X-Men Days of Future Past, that’s one of them for sure! Noah, Inherent Vice, Jane Got a Gun and Maleficient are all films I’m very excited for. Solid picks. 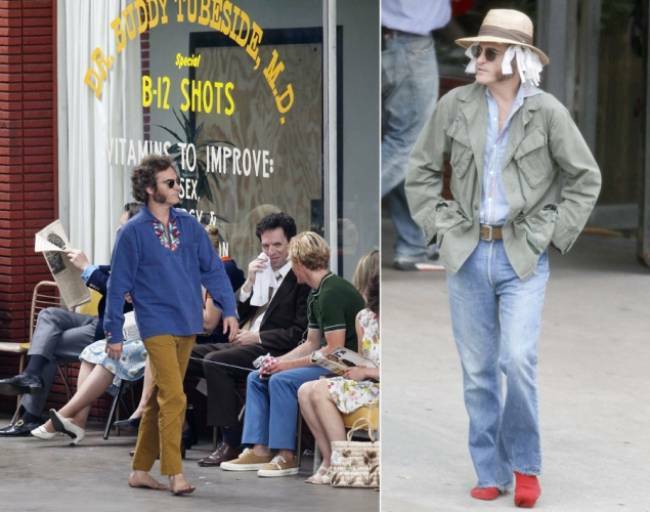 Can’t wait for Inherent Vice.